The Rodeo City Rollergirls took a 158-91 win over the Atomic City Roller Girls on Saturday in Kennewick in the glitter versus gore bout. Saturday’s win marked Rodeo’s second win of the 2018-2019 season. 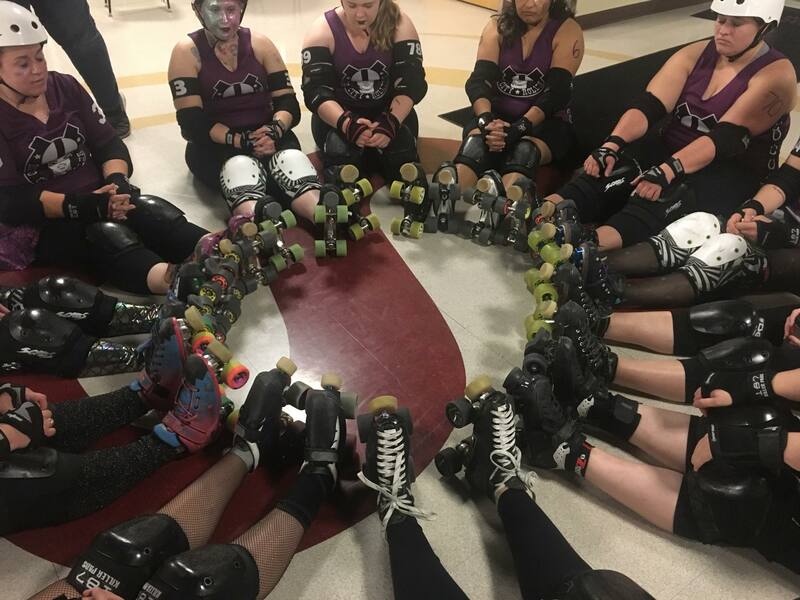 Bench coach Brigitte Weigand said she was proud that Rodeo’s endurance was strong and their spirits stayed high throughout the bout against Atomic City. Rodeo City’s Yo-Yo Mauler, Callie Guntheroth, took the MVP jammer award, while Hula C Nation, Shelby Taylor-Olson, took the MVP Blocker award. The Rodeo City Rollergirls play next at 11:45 a.m. Sunday, December 2nd at Ellensburg High School in the gym. They will take on the Marysville Aftershocks in the Ring Your Bell Bout. Doors open at 11:15 a.m. In lieu of an admission people should bring a nonperishable food item that will be donated to FISH Food Bank. The Rodeo City Rollergirls are always recruiting for skaters, referees and volunteers. For more information about joining us email freshmeat@rodeocityrollergirls.com.